Ryunosuke Kamiki, Minami Hamabe and Tomoya Nakamura are cast in movie “Murder at Shijinso” (literal title). The film is based on 2017 novel “Shijinso no Satsujin” by Masahiro Imamura and directed by Hisashi Kimura. 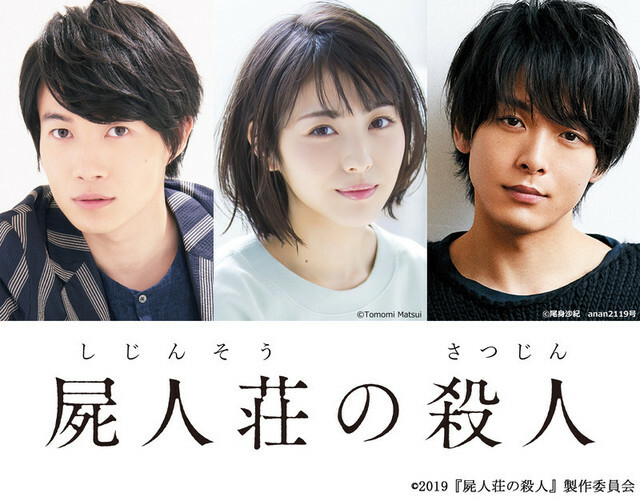 The film have Ryunosuke Kamiki, Minami Hamabe and Tomoya Nakamura playing university students who stay at a pension in the mountains for a summer camp event. Zombies suddenly appear and a locked room murder takes place in the pension. “Murder at Shijinso” will be released sometime next year in Japan.